Francis visited us in 2007. He is an early NW 6. Before visiting us, he had undergone a strip HT at some other clinic, where a full length, (ear to ear), strip had been taken. In Francis opinion, he noticed vey scanty growth. On inspection, the grafts that grew from Francis 1st HT had pitting and were mostly minigrafts. This gave rise to a pluggy look. The grafts had been placed in the front hairline areas. In 2007, we performed the first stage of Francis’ repair HT. a) Francis prefers to go for a NW 1 hairline and concentrate the grafts in the frontal area. b) A small beard hair to scalp transplant was performed at the same sitting to help Francis evaluate the healing and growth of beard hair grafts firsthand. He visited us 9 months after his repair HT part 1. He is happy with the progress in all respects. 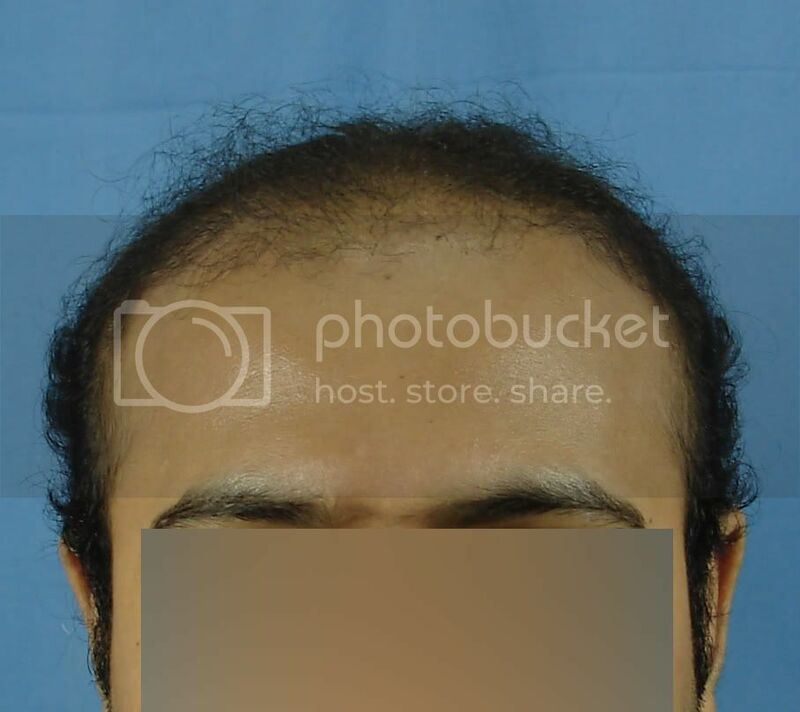 He has decided to use a combination of scalp and beard grafts to fill the remaining top and crown areas at a moderate density. In the 2nd stage of his repair, we will address the top, a part of the crown and the temple points. The 2nd stage will depend in alarge measure on the beard donor hair as there is very limited scalp donor hair left to use. I’ll keep you updated on the progress of this case. I believe francis hd previous bad hair transplant at MAHADEVIA CLINIC,AHMEDABAD.i feel its imp to mention to alert other prospective scapegoats. » crown and the temple points. » there is very limited scalp donor hair left to use. » I’ll keep you updated on the progress of this case. » Let me know if you have any questions. He looks like he has a full head of hair already after the 1st stage. How many grafts will he need for the 2nd stage?